1.2 In contrast, the dry weather conditions prevailed in the southern ASEAN region. An extended period of drier weather in the latter half of the first fortnight of August led to increased hotspot activities in central Sumatra, Sarawak and Kalimantan. 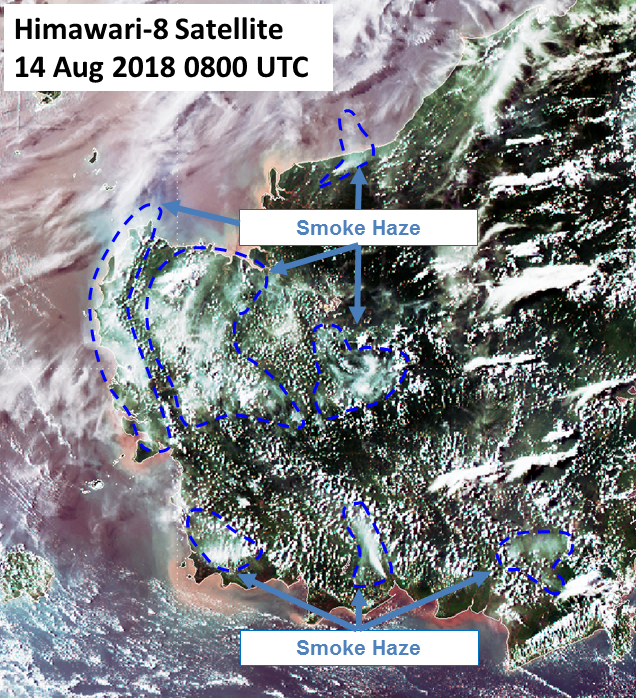 Clusters of hotspots were detected in northern Riau, central Sumatra, and smoke haze from these hotspots were blown across the Strait of Malacca by the prevailing winds, bringing hazy conditions and reduced visibility to parts of the west coast of Peninsular Malaysia. 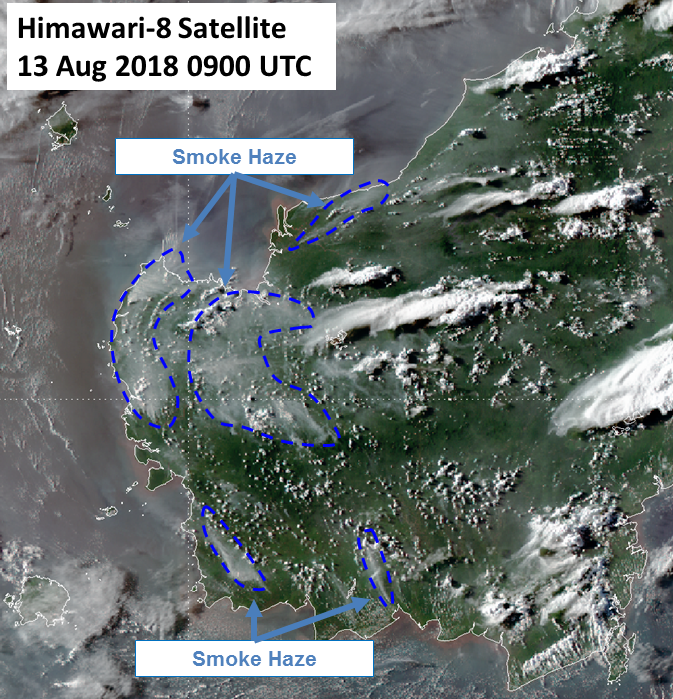 Persistent hotspots detected in West, Central and South Kalimantan emitted smoke haze that was transported northward by prevailing southeasterly and southwesterly winds. In particular, moderate to dense smoke haze from hotspots over peatlands in West Kalimantan was observed. The northward transport of smoke haze resulted in a deterioration of air quality in west Sarawak. 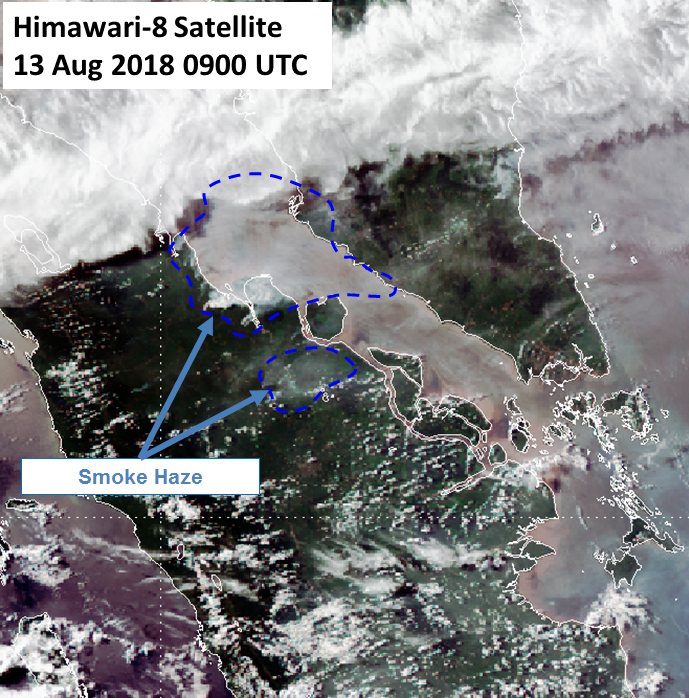 Isolated hotspots with localised smoke plumes were also detected in central Sarawak on a few days. 1.3 Figures below show satellite images over the ASEAN region in the first fortnight of August 2018. Figure 1: Smoke plumes (marked by blue dotted lines) observed around hotspot clusters detected in northern Riau, Kalimantan and Sarawak. 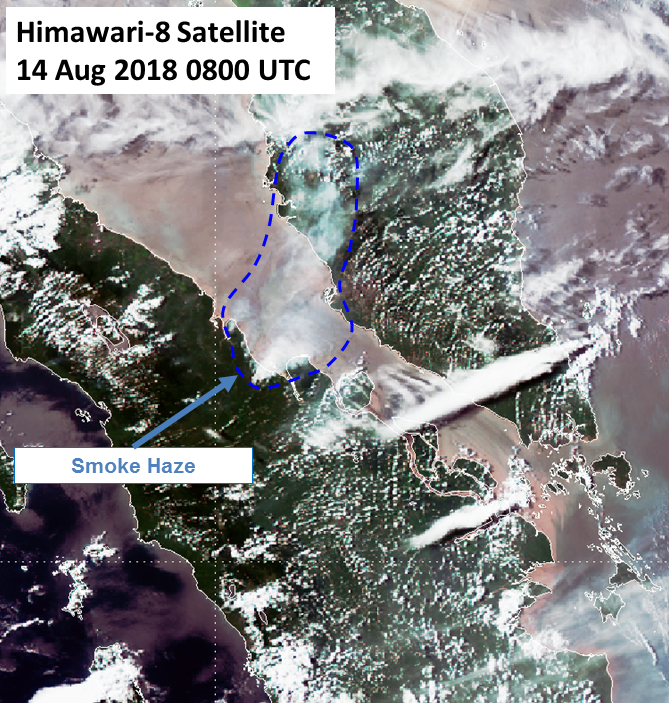 Figure 2: Smoke plumes (marked by blue dotted lines) observed around hotspot clusters detected in northern Riau, has been blown by the prevailing winds toward Peninsular Malaysia (left) and in western Kalimantan and Sarawak (right).